I love being in the city for the holidays, and Canadian-based Metropolitan Hotels has put together a great little package for its three hotels in Toronto and Vancouver. The Met for the Holidays package, which is available the last two weeks in December, makes for an affordable and ideal urban getaway. Plus you can shop, dine and walk your seasonal cares away. 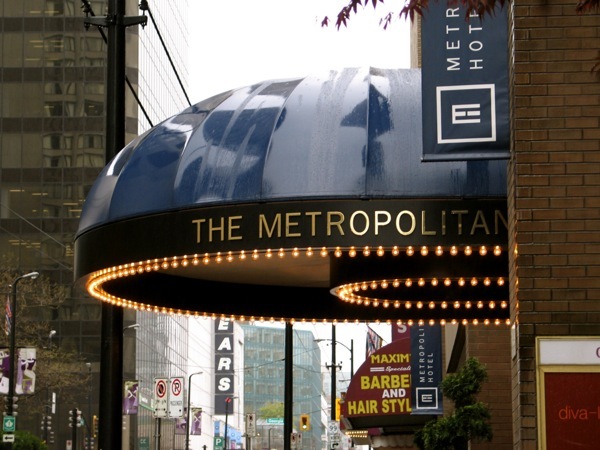 Package prices per night at the three properties: Metropolitan Hotel Toronto, starting at $159; SoHo Metropolitan Hotel Toronto, starting at $209; Metropolitan Hotel Vancouver, starting at $179. Rates are based on double occupancy and available Dec. 15-30, 2011. There's also an upgrade option to include Christmas Eve or Christmas Day dinner. Breakfast in the hotel's restaurants includes Hemispheres, Metropolitan Hotel Toronto; Senses, SoHo Metropolitan Toronto; Diva at the Met, Metropolitan Hotel Vancouver. The three hotels are all members of Preferred Hotels & Resorts Worldwide.